Pineapple Earrings Avatar Parts VIP Quests & More! *Offer expires on Aug. 12, 2018 at 11:59 p.m. (PT) / Aug. 13, 2018 at 6:59 (UTC). And we're happy to announce a very special extra incentive! Purchasers of the Weekly Extravaganza this week will receive 1 Silver Ticket on 8/13! You don't miss out on this special bonus! Complete Special Quests to obtain the exclusive Pineapple Earrings avatar parts and 1400 Jewels! ★ Embrace the summer sun with these returning summery avatar boards for a very favorable price! 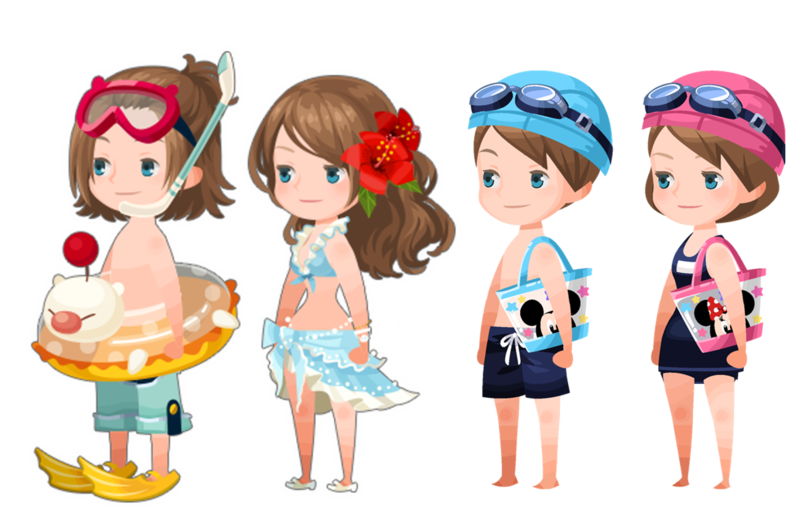 Your favorite summery avatar boards are back and available for only 1500 Jewels apiece! The Incredible Family medal will be available through VIP, just not this week. However they state that the Incredibles 2 collaboration ends on August 19th which means there will only be one week where the medal will be available, so it's either a rare "here are 7 medals in one VIP" or the more likely "you'll have to guilt it with Mickey and Brooms because we're not giving you enough medals".